I’ve always been a sucker for female artists with androgynous voices. I sang with the tenors in choir when I was growing up and I’ve never been able to hit the high notes. Not only do I identify with deep vocals, I love the way they sound. That mystery that envelops a round, indistinguishable voice is utterly captivating. It’s easy to achieve different vocal effects with today’s recording equipment– but a truly unique voice is impossible to replicate. Here are some of my favorite androgynous voices of the moment, old and new. The Alabama Shakes have risen from bar-band to buzz-band in a matter of months. And this wild success can be almost entirely attributed to the booming voice of Brittany Howard. Her deep bellow and raw shaking cry has been likened by the press to mega-stars Janis Joplin and Aretha Franklin. ”You know, some comparisons are really flattering. At the same time, it’s just the way I sound — and this is the only way I know how to sound, really,” Howard says in an interview with NPR. I listened to the song “Going to the Party” and thought the lead singer sounded like Jack White. When I heard “Rise to the Sun” I thought of Kings of Leon frontman Caleb Followill. When I googled the band I realized– the lead singer was not a rock-revivalist dude but a soulful young black woman. Howard sings with reckless abandon and a harsh timbre over guitar with souther rock and soul sensibilities. When she sings, her whole body shouts. I first heard solo artist Jana Hunter through her side band, Lower Dens. Again, I thought the lead singer was a dude. Lower Dens just released their second album, Nootropics and it is an undulating, mesmerizing trip. Jana Hunter is deep and subtle, but not quiet. She has a desolate drone, but it’s not in the slightest bit ugly or out of tune. Her tones are perfectly round and melodic– perfectly haunting. In the video for the first single, “Brains” Jana sports a boy-short hair cut, looking and sounding more androgynous then ever. Nico is an acquired taste. But she could also be the deep voice of all deep voices. When she sings it sounds like a Gregorian chant; like some exotic, gothic lullaby. Her voice is admittedly nasally and off-key, but only Nico could make monotone lively instead of monotonous. 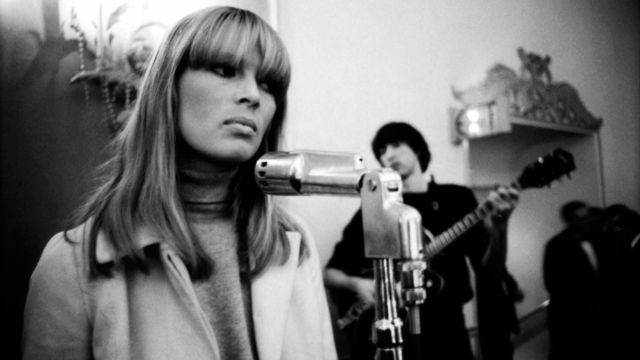 Her stint with the Velvet Underground produced one fantastic album, and her solo work is equally as mesmerizing. 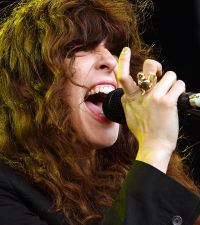 Victoria Legrand is the singer-songwritter and organ player of the Baltimore band, Beach House. The band is known for their slow, dynamic sound. Legrand’s melancholy vocals give the slow melodies a sultry croon. Her lush voice also has a very manly, husky tone. She sounds like you’d imagine an old piece of leather to sound: tough, but worn soft at the edges. There is a deeply sad undertone in everything she sings. Beach house’s third album “Bloom” is set to come out this year, the first single “Myth” dropped in March. 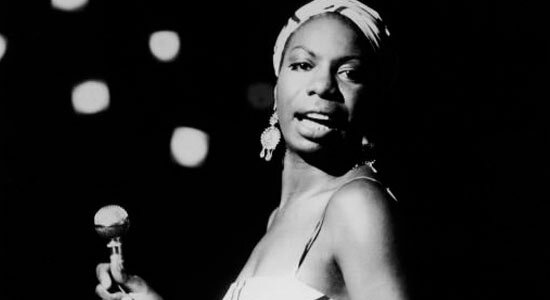 Nina Simone’s seething, scatting voice is an incurable sound. She’s a legend and rightly so. From gospel to jazz to folk to blues, Simone was a force to be reckoned with. Her highly androgynous voice holds incredible power and bite. She had a reputation for an explosive temper, but it was nowhere near as dynamite as her voice. Simone’s voice is dark and rich and deep and striking. Her covers are incredible: Bob Dylan’s “Just Like a Women” or the Bee Gees “To Love Somebody”.